1. 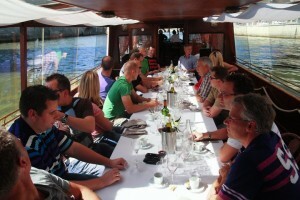 Private cruise on the river Seine with a wine tasting team-game. Private boat with a welcome apéritif and a playful (organic?) wine tasting session with sommelier Ariane, with excellent wines ( bio or classic), including a tasteful champagne. Because it is a team building, we ensure that the wine tasting has a competitive element. So we include a game with wine expert Ariane where the teams answer questions about French wines. 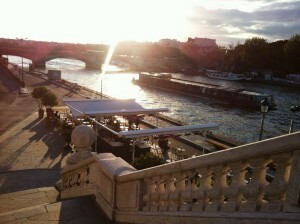 The boat stops in front of famous Musée d’ Orsay. We include a drink on a heated terrace at Seine Boulevard. General Conditions and prices are on request.